Planning A Trip to Leh Ladakh? Nothing on this earth can match with the sheer grandiose and elegance of Leh-Ladakh. 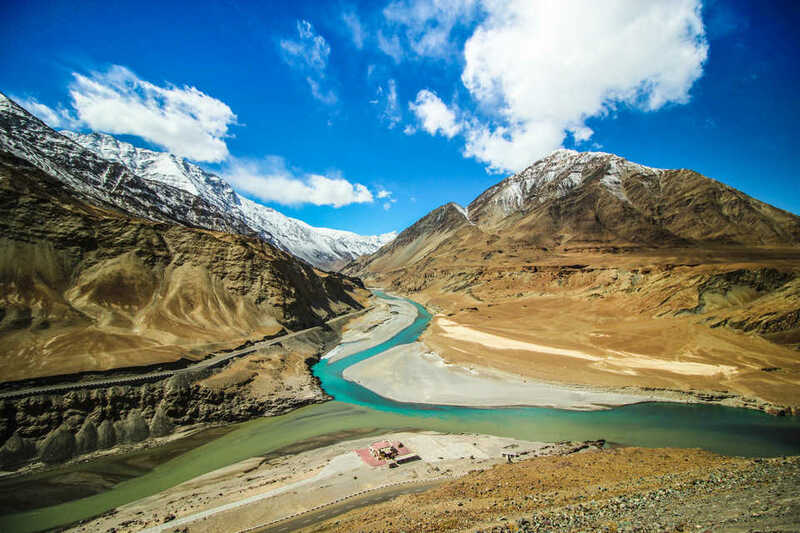 Surrounded by two of the largest mountain ranges in the world, the lofty Karakoram and the Great Himalaya, it lies diagonally opposite to the beautiful Zanskar and Ladakh mountains. Quite frankly, you may fall short of words to express its beauty. From the serene Gompas to the unbelievable momos, the many attractions to visit is why it is also called Heaven on earth. Did you know that only in Ladakh can you sit in the sun with your feet in the shade and still suffer from frostbite and sunstroke at the same time? You can help but be awed at nature’s abundance. Excited? Plan a trip to Leh Ladakh with Kesari Tours Leh Ladakh tour packages today. Zanskar and Ladakh Mountains -Wander among the Titans: These mammoth mountain ranges will keep you company through most of your trip through Leh Ladakh. You can enjoy the magnificence of these mountains with steep snow-covered grounds that reflect the azure skies, where the rivers flow through these highlands making for an unquestionably beautiful cascade and view. Check out the echoes you get from any point in this range. Remember to find a safe place to do so. 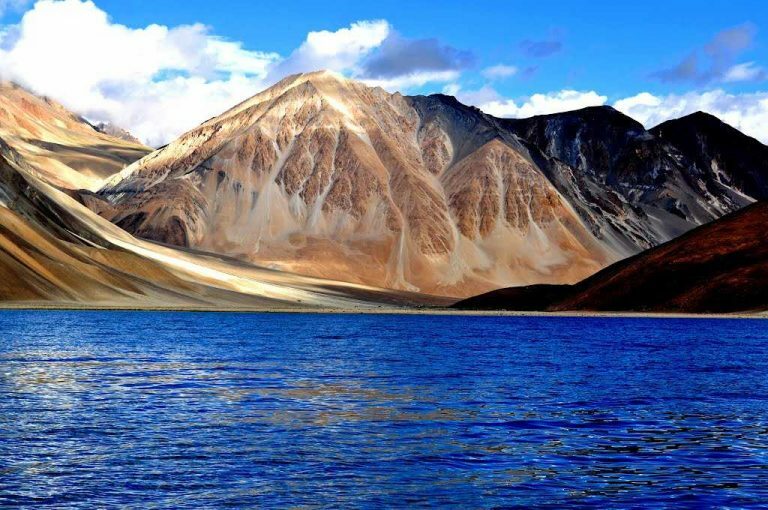 Pangong Tso Lake: One of the most beautiful lake in Ladakh on Indo-Tibet border the Pangong-Tso lake navigates the international border from India to Bhutan. This lake is the best place you can think of camping at and is a must-visit for those traveling to Ladakh. Though boating through the lake is not allowed, you may want to try skating when the lake freezes in the winters. To be fair ice skating is not for the fainthearted. 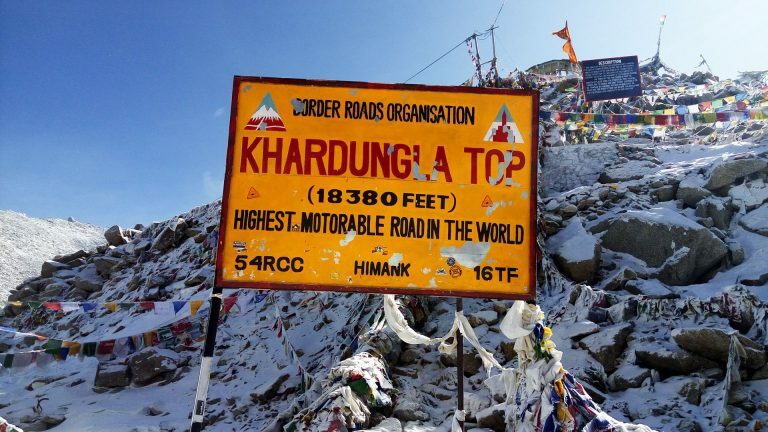 Khardung-La Pass -The highest motorable in the world: Nothing can give u an adrenaline rush like the Khardung-La pass, where the road may not look like much but is one of the best roads to enter the northern states of India. The Border Roads Organisation maintains the pass and is often considered as a tourist spot. But remember, it is at a high altitude, so you must take a lot of care about your health while traveling through the pass. The numerous Tibetan flags along the road are said to keep bad spirits away and you safe. 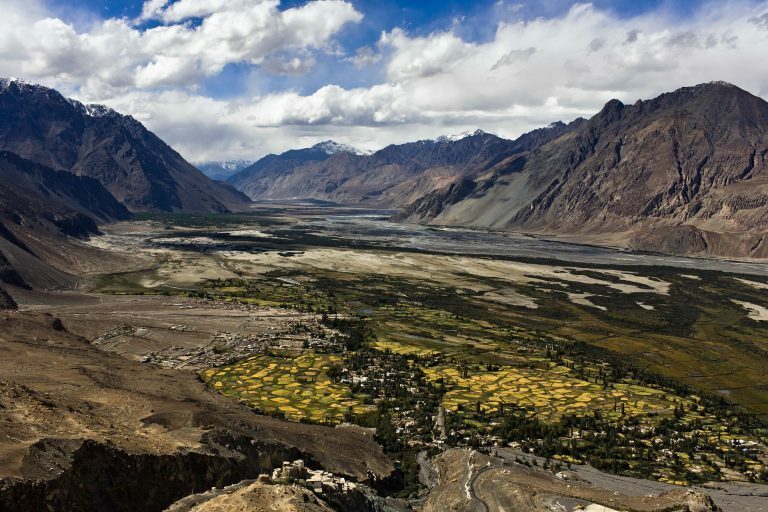 Nubra Valley -The desert among the snow tops: Would you expect to find a desert right in the middle of snowbound mountains on your trip to Leh Ladakh? Isn’t that like a dichotomy? Well, the Nubra Valley is just that-a desert. Get an Arabian Night experience among the sand dunes of this valley. The well-known two-humped camels are also found here and can be a highlight of the trip if you love animals. They say the desert was formed from the Tethys Sea when the Himalayas first formed from the depths of the sea. 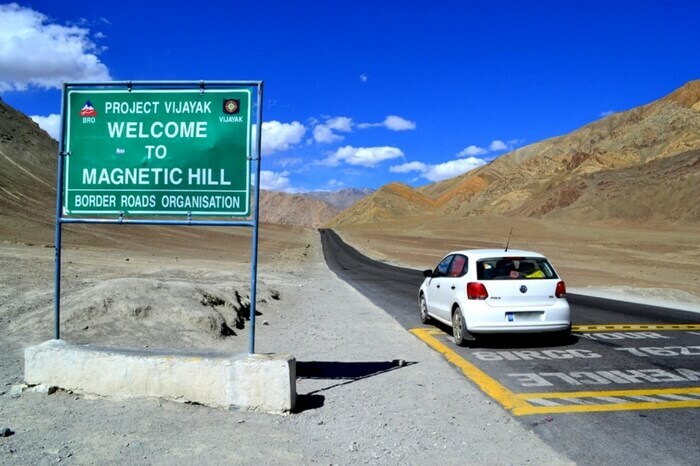 Magnetic Hill: Challenge gravity – feel prodigious: The anti-gravity hill near Ladakh is something you must experience for yourself. The mystery behind the Magnetic Hill is undiscovered yet, despite attempts to observe it over the years. If you leave your vehicle at the base of the hill without locking the brakes, you will find your car going up the hill slowly on its own. Is that magic or superpower you acquired? If you would like to explore Leh Ladakh, then check out the Leh Ladakh tour packages offered by Kesari Tours.